Does your Highlands building need post construction clean up? 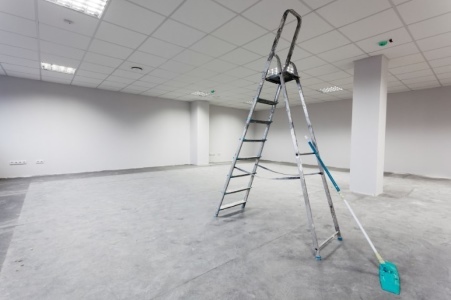 If your Highlands commercial property has been renovated recently, you'll need clean up services before you're ready to open your doors for business. The commercial cleaning experts at Complete Custodial Care, Inc have provided professional cleanup for Highlands businesses since 1997. Our cleaning crew will make sure every inch of your Highlands property is cleaned. We provide thorough dusting of all areas, including: walls and ceilings, air vents, duct work, and light fixtures. Call (281) 747-9344 for thorough post construction cleanup for your Highlands, Texas property. Top quality construction cleaning in Highlands. After the dust settles, call the commercial cleaning experts at Complete Custodial Care, Inc to handle your Highlands post construction cleanup. Our cleaning crew will make sure every surface is scrubbed, cleaned, mopped, and vacuumed. Complete Custodial Care, Inc will remove and dispose of all construction waste and other materials that have been left behind. Get move-in ready after your Highlands commercial construction or renovation project, by calling (281) 747-9344 for expert post construction cleanup. We always give free estimates.